A British writer born in 1775, Jane Austen is popularly known for her novels - Pride & Prejudice, Northanger Abbey, Emma etc. Her books garnered so much fan following in the later years, that they all have movie adaptations based on them. 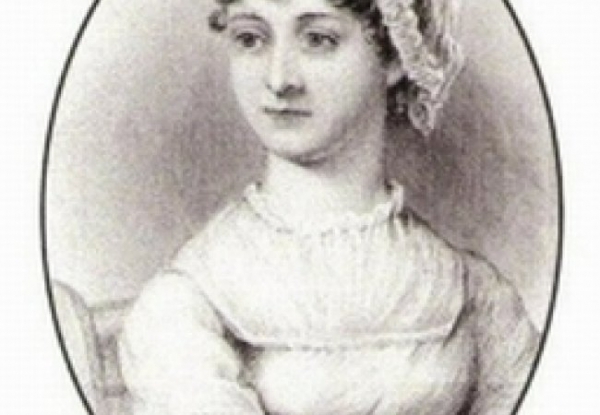 Placing female protagonists at the forefront of the literary sphere, Austen grasped the opportunity to comment on the social hierarchy and English mannerisms of 18th century. Her lead characters are usually women, who steer clear of the suppressive nature of that era. What I like most about these characters, is that they assume power in a patriarchal society, by building their identities through strong actions and their insurmountable point of views. More often than not, these characters are also seen to be facing the brunt of a highly materialistic world. Matters of marriage, wealth, social class crop up often enough to challenge their character arcs. I started reading Jane Austen's books in my early teens and soon after, was hooked onto her writings. I find that Austen's works are still very relevant and raise pressing questions in today's time. Should any individual have to rely on society to feel good about themselves? Should social standing play a greater role in the marriage of two independent individuals? In doing so, Austen's books are timeless classics because, even hundreds of years after, they allow the reader to relate. It is truly great that her books are being incorporated into school and college curriculum as it would facilitate questioning of predetermined rigid standards that people are expected to follow. I write this tribute as a kudos to Jane Austen, for all her literary contributions, for being the voice that needed to be heard.